In order to save their beloved house from the incessant encroachment of the Atlantic Ocean, the owners of the Record House reckoned with the inevitable and had their 1970 home cut from its pilings and moved 400 feet inland. 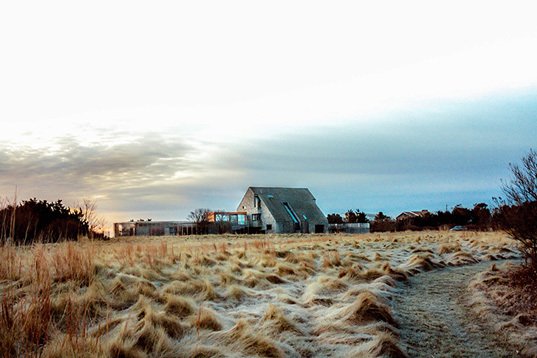 With the dwelling re-located to the middle of a flat cornfield, the landscape architects of LaGuardia Design were challenged with protecting the new location by re-creating a dune system along the ocean. The ultimate goal of the project was to build a self-sustaining landscape that could grow to resist the harsh surrounding environment.